In support of the Munich retreat now taking place without Rinpoche, let us all be together for a worldwide Guru Yoga practice and if possible integrating the Vajra Dances. We connect as we always do during a webcast retreat with Rinpoche, who explained about the importance of being together in the state of contemplation for the benefit of evolution and world peace. It is also the supreme practice to dedicate for the health and well-being of Rinpoche if we, the Sangha, unite in the essence of the teaching and continue in this presence and awareness reflected in all our activities. In Munich five Mandalas can be activated through the practice. 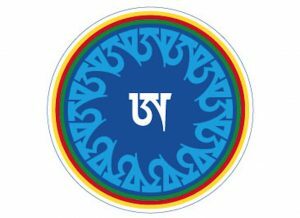 Please connect on your local Mandalas at the same time or practice Guruyoga, integrating by singing the Song of the Vajra as many times as you wish, combining as well with the Vajra Dance of Space of the 12 A.